Thermostatic fabric Stretch Rombos. Composition: 16% Tencel + 64% elastan + 20% viscose. Тhermoregulation. Material Memo Body Ikon® sewn into the case — instant comfort. 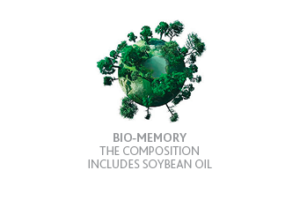 VISCOOL is a ‘VIP’ class mattress based on soybean oil that provides users with comfort orthopedic and anatomic effect, and it also thermoregulates the surface for a comfortable sleep. 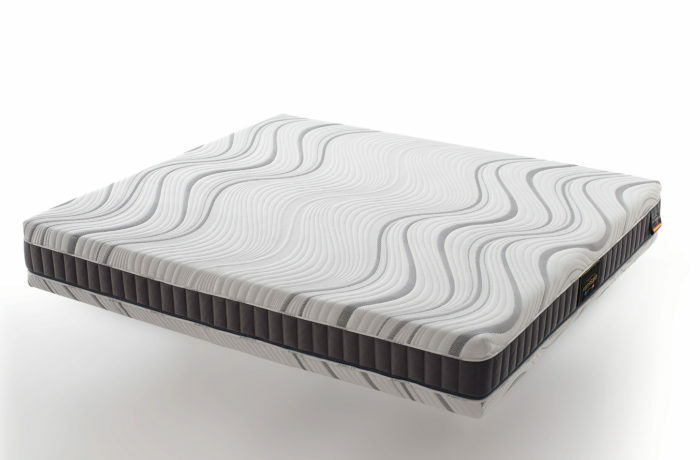 The block of the mattress is made using Ocean Wave technology. What does it mean? 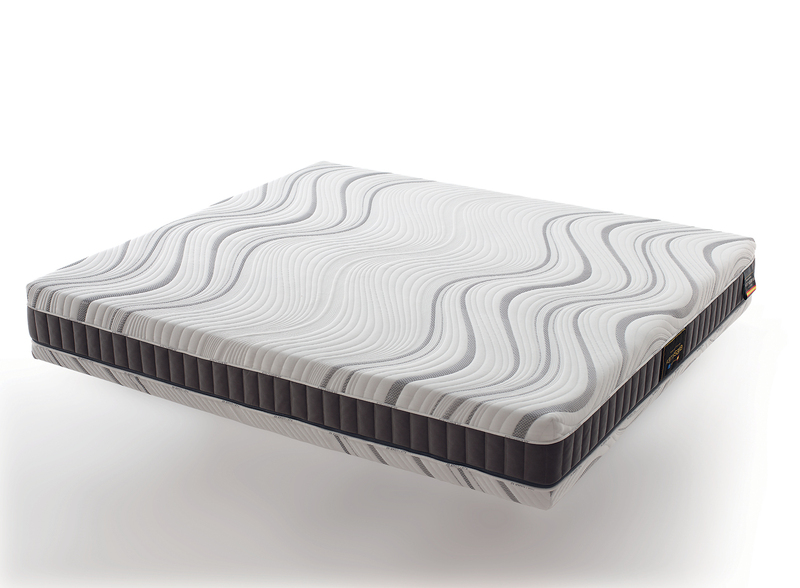 It means that this mattress can adapt to physiological features of the human body. 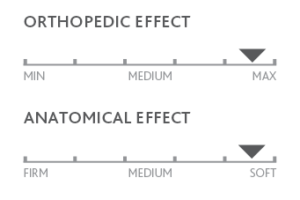 Due to the unique design of the block, your spine assumes the ideal position, which leads to the proper blood circulation in the body and the correct position of the skeletal apparatus. 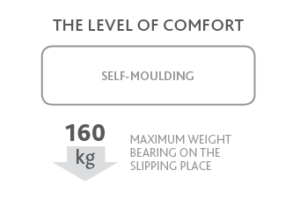 Moreover, the block of this mattress has seven anatomic zones, which adapt the mattress to the places with significant weight loads and provide you with maximal comfort whatever height or weight you have. Also, this mattress has a thermostatic cover (INTENCE fabric) with high breathability and moisture permeability that ensures you with comfort microclimate on the whole surface of the mattress (you sleep on a dry surface and with comfort all the night).